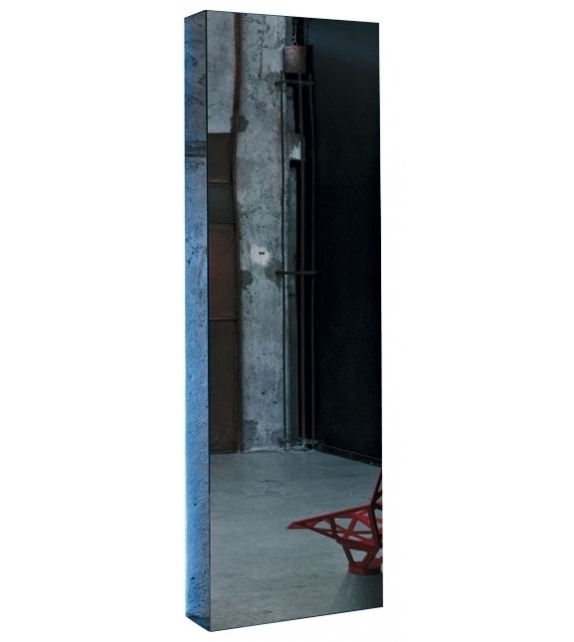 Glas Italia, I Massi mirror 01/03: Parallelepipeds obtained by gluing 45° chamfered mirror slabs, so as to get a monolithic figure. 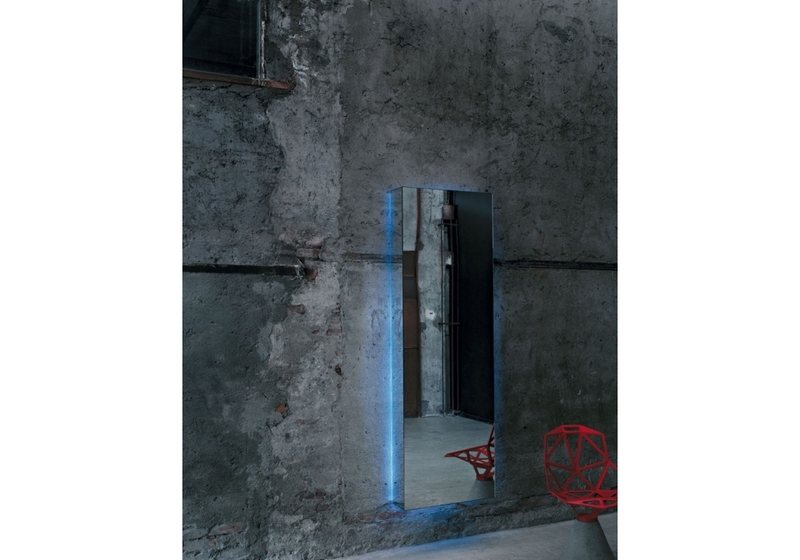 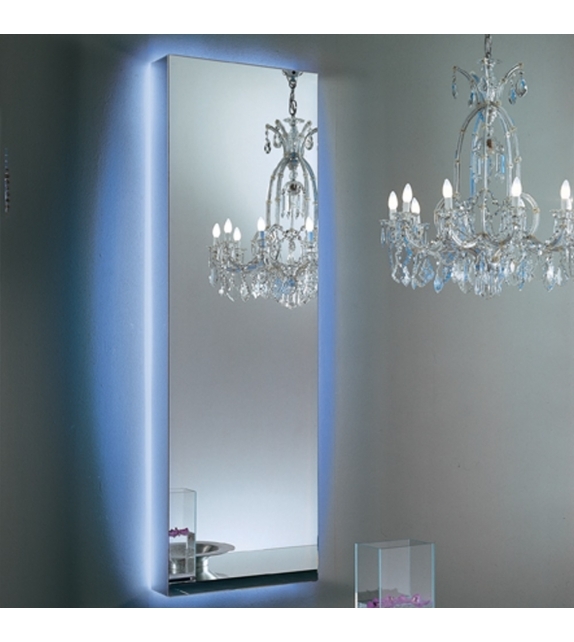 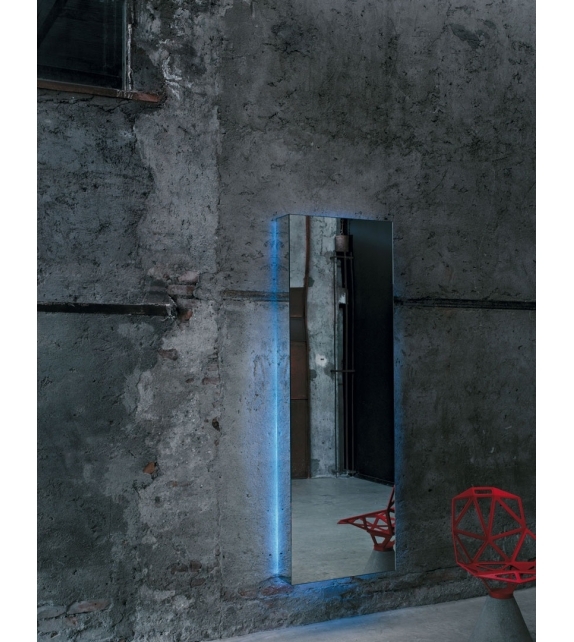 In the version with lighting installation with white or blue neon, a circle of light pours out from the back of the mirror. 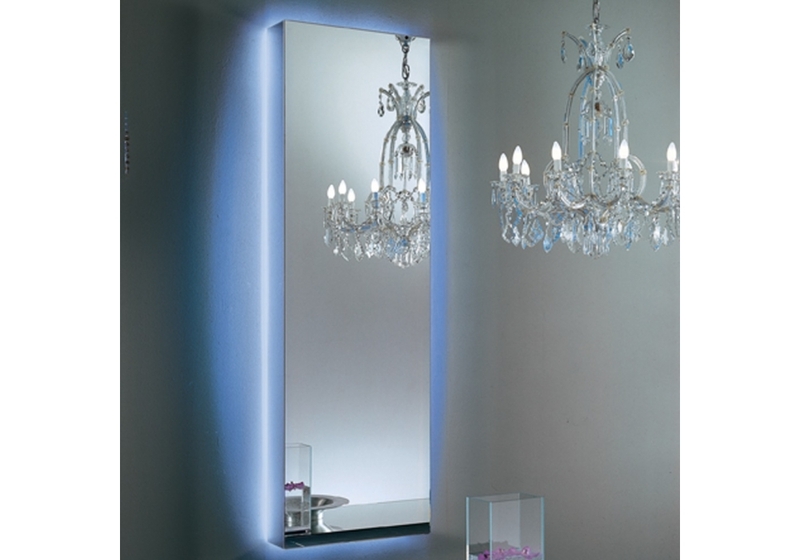 It is also available without lighting. 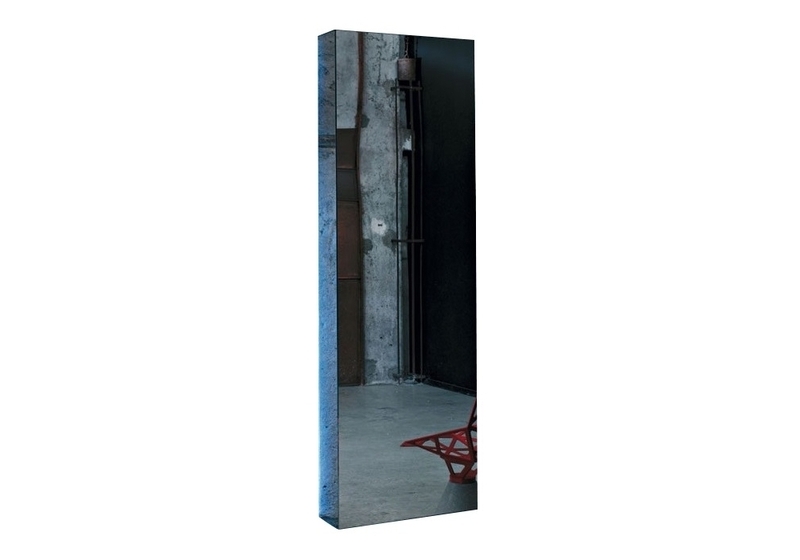 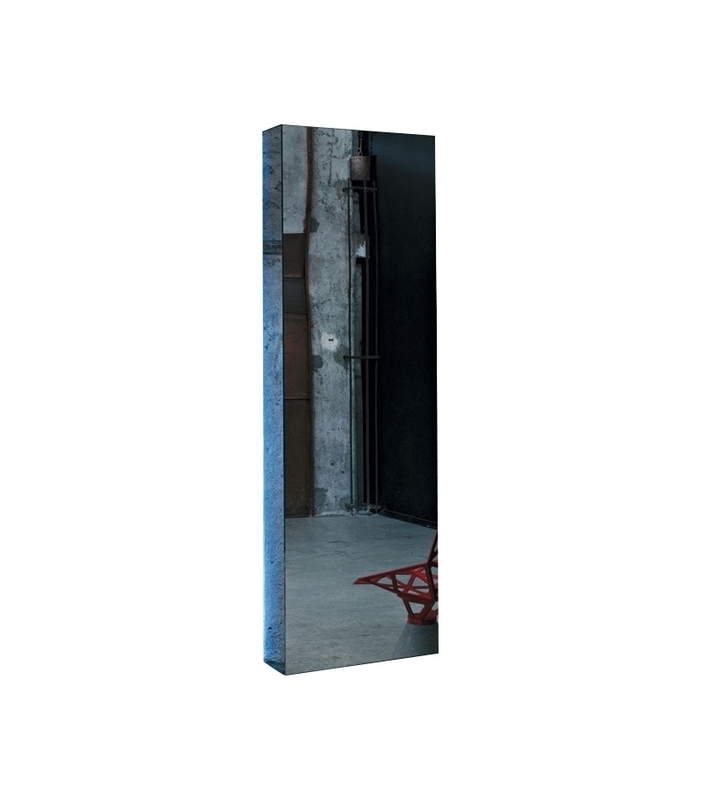 Supplied with double horizontal and vertical fixture.